I love looking around Show Gardens, but the Floral Marquee is always one of the highlights of an RHS Flower Show. It’s a great opportunity to buy some of the plants you’ve seen in the Show Gardens ready to add into your own garden at home. And the Marquee at the RHS Malvern Spring Festival 2018 was no exception. With over 70 stands to explore, the Marquee at the Three Counties Showground was buzzing with colour and fragrance. The range included everything from perennials and spring bulbs, to succulents and air plants. Join me for a walk around the Floral Marquee, to take a look at the beautiful blooms on display. 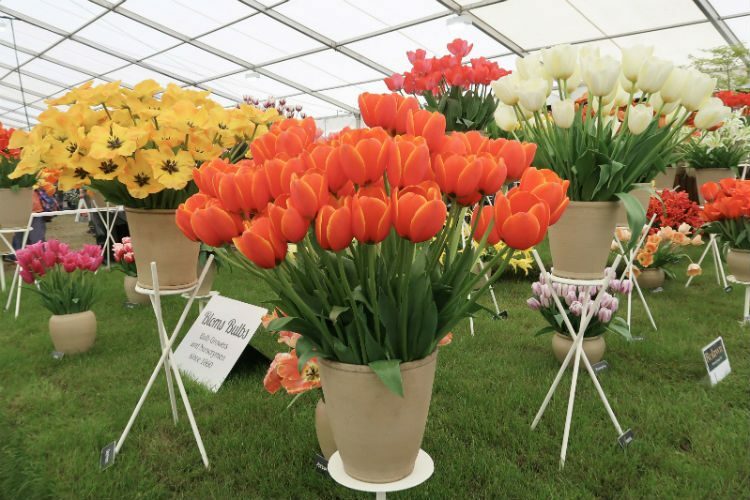 And discover which grower was singled out for special celebration as the RHS Master Grower for the Malvern show.